One suggestion, based in part on finds at the L’Anse aux Meadows site, is that Vinland consists of the coast lands skirting the Gulf of St. Lawrence and that Hóp was in the Miramichi-Chaleur Bay region of New Brunswick. This suggestion takes into account that Vinland is a ‘land,’ in which there were two or more exploration bases, the way Greenland and Iceland are ‘lands’ with many settlements within them. The discovery of three butternuts and a piece of butternut wood at L’Anse Aux Meadows have led archaeologists to look at New Brunswick as a possible site for Vinland. Butternuts are a North American species of walnuts. They are sometimes called white walnuts and their Latin name is Juglans cinerea. The piece of butternut wood was a burl; burl in Old Norse is mösurr. 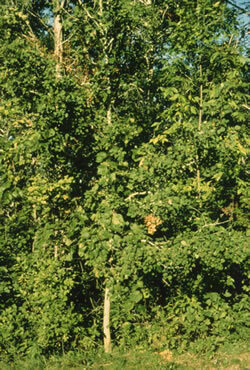 Butternuts grow in hardwood forests and require a long and warm growing season. They have never grown in Newfoundland. The nearest place they occur wild is northeastern New Brunswick. They also grow in the St. Lawrence Valley as far east as St. Paul’s Bay east of Quebec City. They are not native to either Prince Edward Island or Nova Scotia although some have been planted there in modern times. The nuts are not likely to have ended up on the site by way of sea currents because the nuts absorb water and sink after long immersion. According to archaeologists, people must have brought them there. Since all the butternut items were found in association with Norse artifacts it seems clear that it was the Norse who brought the butternuts and the butternut wood to L’Anse aux Meadows. 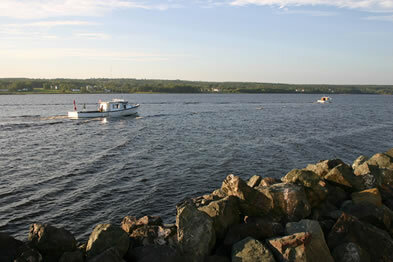 Eastern New Brunswick has a long growing season with warm summers and cold winters. 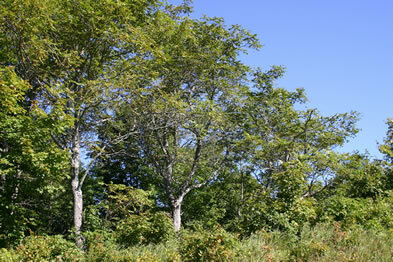 Unlike Newfoundland and the Atlantic side of Nova Scotia, it has large hardwood forests of maple, red oak, beech, elm and other deciduous trees, which do not grow in Newfoundland. Much of these forests were cleared after the European colonization beginning in the early 17th century. They have been replaced by coniferous forest, but the hardwood stands are still prominent. 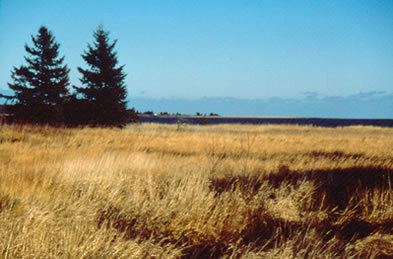 In summer time the climate and environment make the area appear more like southern Europe than the northern landscapes to which the Norse were accustomed. The archaeologists saw another significant aspect of the butternuts: they grow in the same areas as wild grapes. The two fruits ripen at the same time, in late September or early October. Whoever picked the nuts, probably came across wild grapes as well. 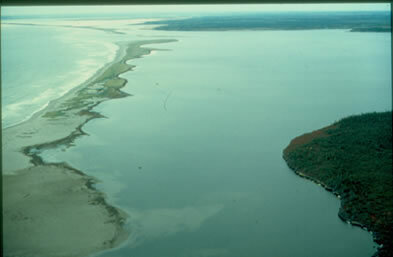 Eastern New Brunswick is particularly noted for the long sandbars along its coast. Behind the sandbars are shallow tidal lagoons with the warmest water temperatures north of Virginia. 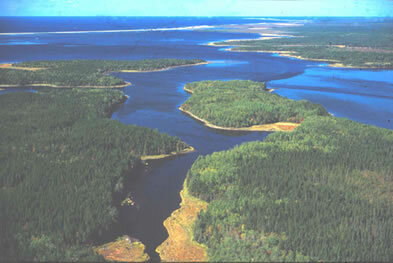 Large rivers such as the Kouchibouguac, Miramichi, and Restigouche Rivers empty into these lagoons. 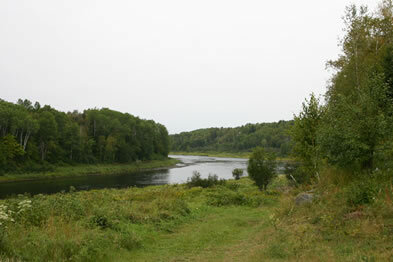 The Miramichi leads 250 km inland, forking into several branches 35 km from the coast. 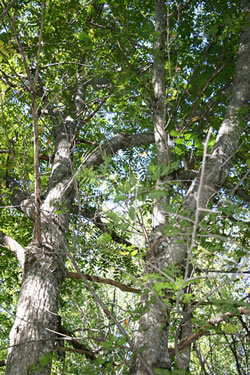 Along the southwestern arm is a rich flora of butternut trees and other leafy trees. 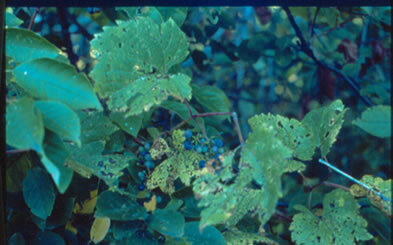 Wild grapes, Vitis riparia or Streambank grapes, grow along the river, although greatly diminished by centuries of logging. Grapes also grow near the mouth of Restigouche River, emptying into Chaleur Bay. A common plant near the shores is dune grass, Elymus mollis, a North American relative of the European melr, ‘meal’ or ‘flour grass,’ Elymus arenarious. There is also wild rye grass, Elymus virginicus. The Vinland voyagers reported that they met Aboriginal people or Skraelings, as they called them. 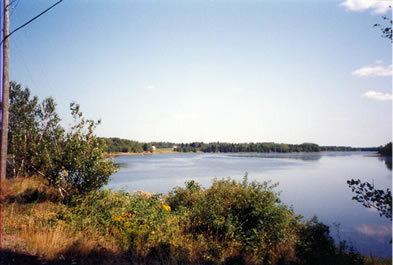 The Miramichi area is, and has been for several thousand years, the home of the largest Aboriginal populations in Atlantic Canada. 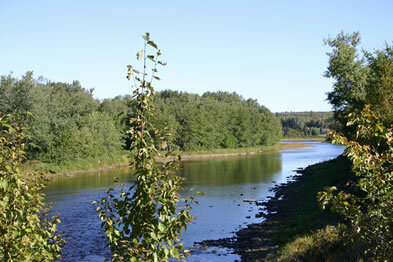 The village of Metapenagiag, also called Red Bank, located at the confluence of the two major arms of the Miramichi, has been in use for as much as 3000 years. The butternuts and grapes provide substantial evidence for the New Brunsick claim to be Vinland but they also grow in areas south of New Brunswick, in New England and more southerly areas. Thus the butternuts and grapes alone cannot prove that the Norse went to New Brunswick but they prove the Vikings roamed south of Newfoundland.